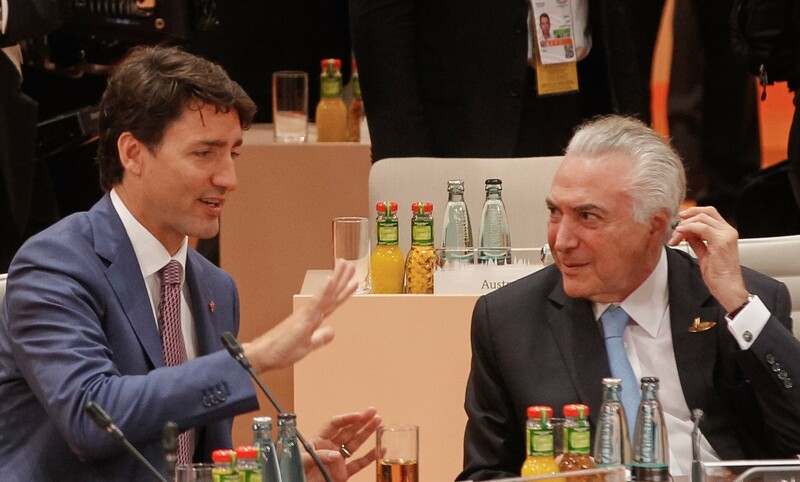 Prime Minister Trudeau and Brazilian President Michel Temer in July 2017. I was invited to appear before a parliamentary trade committee last week on behalf of the CCPA to discuss a possible Canadian free trade agreement (FTA) with the Mercosur countries. I must say that, while CCPA is always happy to participate in such discussions, it’s hard to understand why the Trudeau government thinks this is worth the considerable time and effort it will take. A recurring theme in the testimony to date on the Mercosur FTA, which would involve Brazil, Argentina, Paraguay and Uruguay, is the at-best lukewarm support even from industry groups that are typically quite pushy about these deals. There are good reasons why that’s the case. The Mercosur bloc is made up of some of the most important countries in the Americas. It is critical that Canada engage with them as partners on a range of matters. But on the trade front, the opportunities are constrained by both geography and highly similar trade profiles. For example, the list of top exports of both Brazil and Canada includes fossil fuels, minerals, vehicles and forestry products. In agrifood products such as oil seeds, red meat, grains and cereals, Brazil and Argentina tend to compete with Canadian exporters in world markets. ?The similar composition of our major exports limits potential trade growth. Moreover, Canada currently has a negative trade balance with the Mercosur countries, a situation which has been worsening in recent years and which a free trade deal would likely exacerbate. If the economic case is weak, continuing to pursue standard Canadian-style free trade deals with as many countries as possible poses other risks to public policy and democratic governance—risks that, as the CCPA continually points out, have little to do with trade. Include robust protections for cultural industries and cultural diversity. On one level, achieving such a trade vision, if that is the federal government’s objective, seems at least feasible in this case. 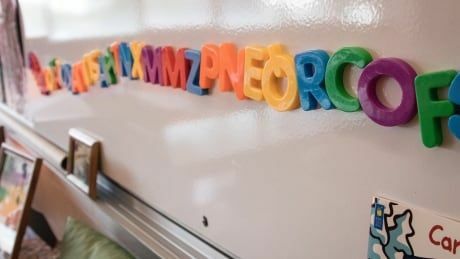 In their external trade negotiations, Mercosur countries, particularly Brazil, have traditionally been cautious about embracing “WTO-plus” intellectual property, services, investment and regulatory co-operation provisions of the sort that have been problematic in many recent Canadian bilateral FTAs. Canadian officials opportunistically hope that new more conservative governments in Brazil and Argentina might take a more neoliberal approach to trade negotiations. But the new, highly corrupt Brazilian regime has plunged that country into political turmoil, while Argentina is gripped by a deepening currency crisis. Canadian diplomacy should be focused squarely on trying to defuse these crises and bolstering democracy in the region, not chasing yet another bilateral FTA. Past Canadian free trade interventions in the region have made difficult local situations more unstable. A broad coalition of Canadian civil society organizations warned that the 2011 Canada-Colombia FTA would only make a bad situation worse. Those chickens are now coming home to roost. Human rights impact assessments of the CCFTA, brokered by the then-opposition Liberals, have been so deeply flawed many civil society groups have refused to participate. Recently, three Canadian-registered mining companies launched investor-state challenges against Colombia for limiting mining in the Páramo, a unique alpine ecosystem vital to the country’s water supply. Such outrageous investor-state lawsuits don’t make Canada any friends in Latin America. With the increasing availability of third-party funding from hedge funds for investor-state disputes, the damage to Canada’s reputation will only grow. Given our negative experience with ISDS at home and abroad, the solution is to eliminate ISDS entirely. Currently, Brazil has no bilateral investment treaty with Canada. In fact, Brazil has never ratified an investment protection treaty that includes ISDS. Canada could also pursue the opportunity to eliminate ISDS from its current investment treaties with Argentina and Uruguay. To be called progressive, a trade agreement must, at a minimum, include strong, fully enforceable labour standards. It is also essential to include obligations to ensure that each country enforces high domestic environmental standards while abiding by commitments under multilateral environmental agreements (including the Paris Agreement). Achieving these two prerequisites of a progressive trade agenda will likely be difficult in the context of an FTA with Mercosur. In my opinion, pursuing a standard market access deal with Mercosur based on Canada’s current FTA template should not be a priority for this or any future government, especially as Canada is still sorting through its most important negotiation by far—with the Trump administration over NAFTA. However, if the negotiations do proceed, the government should be urged to commission an independent human rights and environmental sustainability impact assessment of the prospective agreement as early in the negotiating process as possible. The parliamentary trade committee is in a good position to call for such a pre-agreement review. In an era where support for the status quo (some say neoliberal) trade model is eroding, including among former believers, Canada should take a lead on a different vision for global co-operation. Instead of negotiating and signing yet another standard FTA, why not strive for a new, genuinely progressive model where our various social, environmental, cultural and economic policies mutually support each other? Why should these agendas constantly take a back seat to trade? Scott Sinclair is a senior researcher at the CCPA and the director of the Trade and Investment Research Project.
? Is progressive free trade a pipe dream?